Farin Ruwa in Nasarawa State is one of the highest waterfalls on the continent, with a drop of more than 150 metres (Victoria Falls' drop is a mere 108 metres). And yet, according to this article, there has been just over 1,000 visitors since 1999. The people I know who have been there all say its a stunning experience. 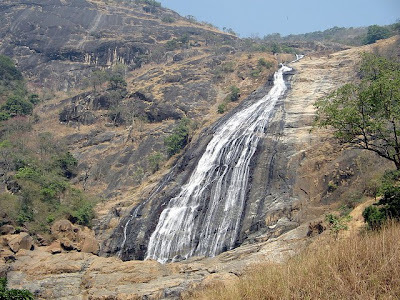 The falls are only three hours drive from Abuja. Plans to develop tourism to the site and also for a hydro-electric power project have yet to be implemented. A trip during this damina season is in order methinks. Strangely enough, Farin Ruwa is not even listed on the World Waterfall Database. This image was taken from here. thanks Jez, u come up with some amazing stuff. ok im in.. how would we get there? whats the plan? The waterfall is quite aptly named, Farin Ruwa is Hausa for white water, I'm sure you already knew that. So much to see in Nigeria, so much potential for some sort of tourism and hope with an eco- prefix. seems a whole lot more impressive to me. 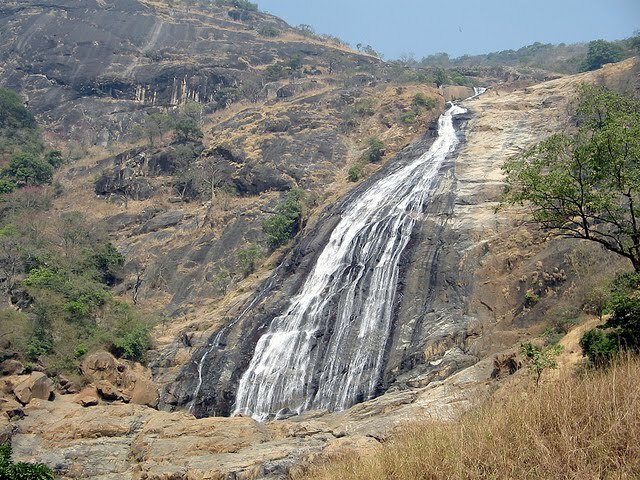 2) Garara falls (in Niger state, where you just holidayed) appear more enticing, (I think you have visited those falls previously, you took pictures of locals enjoying the scene). Lush vegetation is a definite draw typified by Cross River's very own Agbokim falls , the problem with it, is that it's located an area close to kidnappers and militants, which is a big drawback. Let's be honest, it's nowhere near as impressive as Vic Falls, but then again Jeremy never said it was. He just stated that it had a much longer drop. Good work Jeremy, I really enjoy looking on her to see what could be explored in Nigeria. In the past I've tried to get out and show my kids the country but the way the security is going it's getting increasingly difficult. Please any info or links to info on good accomodation near any of these places would be appreciated.....that is easily the biggest problem in trying to see the often fantastic sights of Nigeria.